How Will Washington State's Legal Pot Affect Traffic Safety? 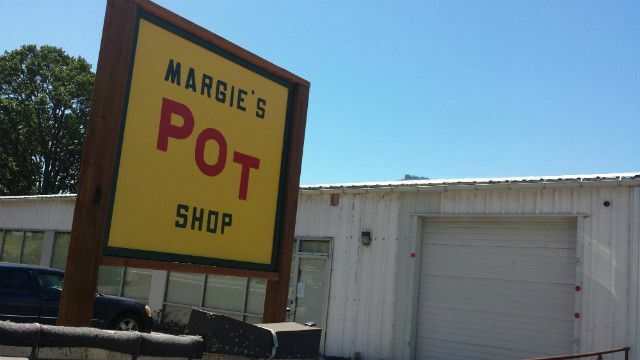 As you may remember, Washington state legalized recreational marijuana back in 2012. Now, 19 months later, anyone that’s at least 21-years-old can buy up to one ounce of pot with cash from one of the twenty-four recreational pot shops licensed by the state. (Why only cash? Credit cards rely on federal debt assurances and the federal government isn’t exactly thrilled about Washington’s pioneer spirit regarding a schedule one controlled substance). The debut of state-regulated recreational pot shops naturally coincides with an increase in DUI patrols, which will aim to catch more people guilty of driving while high. There seems to be some confusion among individuals about the relationship between stoned driving and driving under the influence. According to the recreational pot law, Initiative 502, they are the same and stoned driving will result in the same treatment as drunk driving: that means a possible arrest, jail time, and even revocation of driving rights. A message that comes with some irony, as the state has haphazardly assembled an apparatus to sell marijuana (the consulting group that helped assemble the rules, regulations and other conditions for legal pot is named after an acronym that stands for Back Of The Envelop Calculations (BOTEC). Medical marijuana couldn’t serve as a scaffold for recreational pot as it had in Colorado because Washington State isn’t even sure how many medical marijuana shops currently exist. This uncoordinated implementation of means the new pot market has to compete with both the medicinal and black pot markets. How Will Legalized Pot Affect The Rest of Us? So no one knows how the new marijuana economy will affect the state. Eventually it could boost state coffers, as legalization has in Colorado with almost no deleterious side effects. However inflexibility from the regulating body might create a morass of legislation, forcing consumers back into criminal purchase. Whatever the outcome Davis Law Group remains a staunch supporter of Mothers Against Drunk Driving, a group that stands against driving while high. Drug-influenced driving increases the likelihood of all types of motor vehicle collisions, despite the curious and actually harmful belief that it only causes users to drive slower. Marijuana impairment, according to a Columbia University analysis, at least doubles the chance of a crash. The Davis Law Group is dedicated to recovering compensatory damages for those accident victims who have suffered because of alcohol- and drug-impaired drivers.